What Does the Future Hold for China's Museums and Art Districts? Over the past decade, Beijing’s 798 Art Zone or M50 and the West Bund Culture Corridor in Shanghai are true testaments to China’s growing appetite for arts. Each weekend, hordes of youngsters can be seen hanging out in these neighborhoods with their friends over cups of coffee, lining up to see the latest big-name exhibitions in town, and of course, snapping plenty of selfies for their WeChat Moments and Instagram posts. China’s museum boom isn’t just happening in first tier cities. According to the China Museums Association, the number of the nation’s museums increased 60 percent in a span of just five years, rising from 2,600 to nearly 4,200 between 2009 and 2014. As such, urban planners and museum operators are keeping a close eye on this upward trend and digging deeper into the motives, behaviors and needs of the social media-savvy post-1980s generation, who make up nearly two-thirds of China’s total museum-going population. In June, the inaugural symposium of Museum 2050, a Shanghai-based platform for investigating key issues about the future of cultural institutions in China and abroad from a local perspective, brought together experts in the field from around the country and beyond to discuss a range of issues from reconsidering the ‘creative city concept’ in an Asian context and the problem of counterfeit cultural relics in China to leveraging social media and online communities to promote and create content for musuems. We sat down with the project’s founders, Nicole Ching (International Communications Officer for the Long Museum, Shanghai) and Leigh Tanner (Shanghai-based independent curator), to find out more. Can you tell us why you founded Museum 2050? What do you hope to achieve with the project? NC: Museum 2050 was born out of our shared belief that so much of what is happening in terms of China’s cultural development was not being accurately depicted in many of the talks and publications we were seeing outside of China. Leigh and I both have experience working in Chinese institutions and so we also understand many of the challenges these museums are facing. LT: We see [the project] as a part of a solution by providing young museum staff members the tools to help develop their institutions from inside out, thus strengthening the overall landscape. Most of all, we wanted to create a space to share ideas and create a vibrant museum community. We hope that these young museum professionals can serve as resources for each other, and that through this continuous information exchange, institutions may better navigate China-specific challenges, which is essential for growth. NC: The ultimate goal is to build a brighter and more engaging museum future across China, and not exclusively in first tier cities. Our strategy is twofold: creating a space for young museum professionals to share their experiences, while also building a platform where young academics can share research. How’s the museum scene in China different than other countries today? NC: It is really difficult to accurately describe the scene that exists in China right now because it is so varied and vast. Something that was brought up during the conference was the definition of a ‘museum’ in a traditional sense, which includes several components such as having a personal collection, a dedicated publication department, an education and outreach program, and so on. However, many of the institutions in China we think of as museums do not fulfill all of these stipulations. So I think one of the most interesting things happening in China’s museum scene is that the very definition of museum is being redefined, which can be a very good thing and there’s great potential. LT: The much discussed ‘museum boom’ has been taking place in China over the past 15 years, so the sheer volume of the growth in and of itself is unique. At the same time, as Nicole mentioned, there is not a strongly held idea of what a museum should be or a deeply ingrained museum-attending culture, which allows for new paths and forms to emerge. It was mentioned that 65 percent of museum-goers in China are the ‘post-80s generation’ while in the West, the audience is generally older. What are the advantages of having a younger target audience? NC: I think we need to first state the difference between public state-owned museums, which mainly hold historical artifacts, Chinese works of art and relics, and private museums, which have a focus on contemporary and modern art, as the demographics vary greatly between these. The ‘graying’ population of museum-goers abroad has been oft stated, but in China, it is the opposite when it comes to private museums. It’s a subject that’s quite fascinating for me. The advantages are that the youth in China, and the rapidly rising middle class, are now turning their interests into engaging deeper with art and museums. This has positive effects because it is this group who will in turn share their learning and knowledge with the next generation. By 2050, the same group of museum-goers will be in their 60s and 70s. How should museums in China start planning to better serve this group, and also how should they attract the younger generations? NC: An interesting point that was raised during the workshops was that many museums had education and outreach programs, but these were only targeting very young children and families. It was noted time and again that museums were trying to build an engaged and devoted museum audience from an early age, as it is in these formative years that one holds the most open mind. So indeed, if they are successful in their goals, and I certainly hope they will be, then by 2050 in China we will be seeing a much larger museum-going public, who will in turn share their passion for arts and culture with their children, which we hope will catalyze a positive cycle. "One of the most interesting things happening in China’s museum scene is that the very definition of museum is being redefined"
Do you think new technologies like VR and holograms will affect how museums operate in the future? 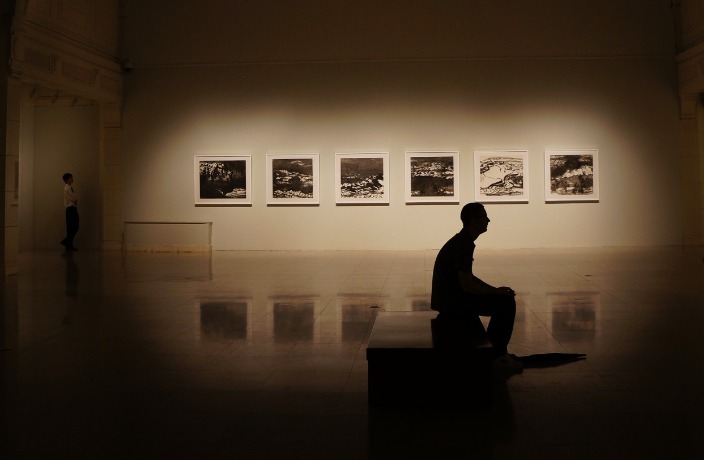 Will it have an impact on the survival of museums if the experience could be digitalized? LT: I think anything that gets people thinking about and engaging with art is a good thing, but I don’t believe this will render museums meaningless. There is still something to be said for the physicality of seeing a painting in person, or experiencing the way an installation can guide you through a space. On the description, it says Museum 2050 aims to explore “the cultural and social impact that [the exponential growth of the number of museums] will have by mid-century, and how this growth affects audiences and ideas about existing museum frameworks.” Was there a theory shared during the talks that really stood out to you? LT: We heard a variety of perspectives from a diverse set of speakers, but I certainly can’t declare there was any sort of conclusion. Yet, there was a sense that the conversations and theories brought forth, in essence the sharing aspect of the weekend, is critical for considering what the result will be of the cacophony of museums built in the last decade. How different do you think the experience of going to museums in 2050 will be compared to today? LT: We chose the date 2050 because it sounds far enough in the future that the imagination is allowed to dream up all sorts of science-fiction possibilities, and yet, it is close enough that it feels as if this future may be based in the world we already know. Thirty-two years in China feels like a century anywhere else, so I am optimistic we will see more accessible, more approachable museums in the coming years. I’d love to think that in China more museums will take the public mandate of education to heart as they develop the resources and audience to match. Finally, what’s next for Museum 2050? LT: We are planning a publication of all the papers presented at our symposium, as well as some of the content of our workshops. Stay tuned for more information about the upcoming book and next year’s symposium via our WeChat account and website. Find out more about Museum 2050 here. All images above via Pexels, except photo of the Museum 2050 founders. The thunder of hooves on turf where People's Square lies today.